For a while last weekend I chased around after the Brill trolley from the Transit Museum Society. 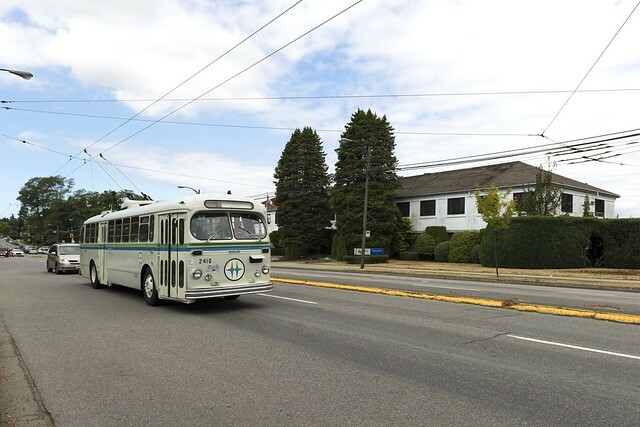 In this image it's passing the Oakridge bus barns, as good as closed now. It would be hard to estimate the thousands of times this bus went in and out of that yard over 40 years or so. For the first 30 years of my life these were 'the' bus in Vancouver. I rode them thousands of times too.